Light Spinnaker This sail is designed with a head angle of between 88 and 100 degrees, and is constructed using 0.5oz Ripstop nylon. It is designed with the emphasis on bringing the boat up to maximum VMG through reaching up slightly. Panel layouts may vary to take account of aspect ratio. All purpose Spinnaker This sail is designed with a head angle of between 89 and 112 degrees, great attention is placed on the elliptical outline of the Spinnaker to help present the maximum projected area to the wind. 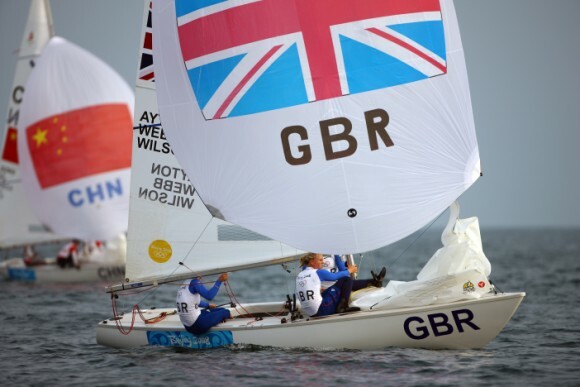 The Spinnaker can be squared effectively and the helm can sail a shorter distance to the mark. This sail is constructed using .75oz â€“ 1.1oz depending on rig size. Heavy Spinnaker Due to the narrow head angle this sail can be used on a tight reach. With a lower ellipticity, the Spinnaker backwinds the mainsail less, allowing greater power to be gained from the mainsail. With lowered centre of effort it is suited to heavy air sailing when you would be overpowered with the general purpose. Constructed using 1.1oz to 1.5oz depending on rig size.